If you love to catch fish, book a charter with Captain Jim Del Real. 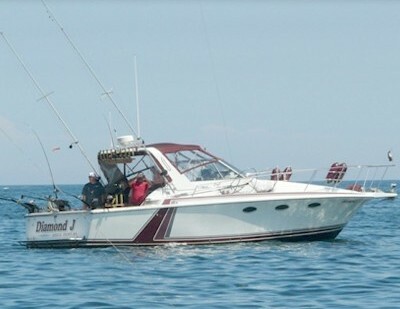 Once aboard our ultimate sport fishing craft, we'll set sail on Lake Ontario, out of Sodus Point, New York. The Captain is an experienced fisherman and knows that these are the best waters around to fish with light tackle. 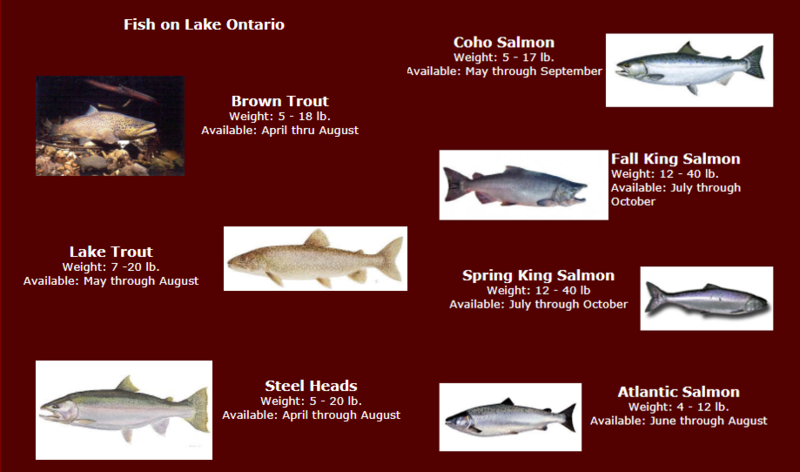 We have all of the equipment you'll need to catch king salmon, coho salmon, trout, and more. Just bring your New York State fishing license, a cooler for your catch, and wear the appropriate gear for a day of sun and fun! Contact us today if you have any questions about our fishing charter. when you go charter fishing with Diamond J Charters. 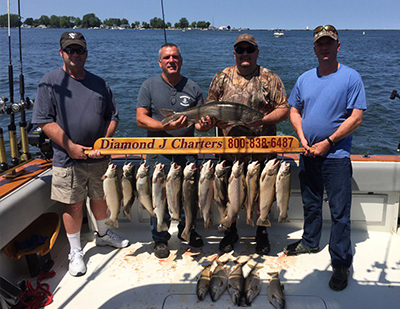 Diamond J Charters is a charter fishing service based in Sodus Point, NY — a great community with lodging, restaurants, and most importantly, great fishing. We know all the area well and love what we do. Everyone can fish! We take out members of the military family members/veterans and more. Whether you are a parent who wants to bond with their family or a business owner who wants an outing to reward his group of his employees, please give us a call. We look forward to meeting you.